This is the exact language included in my Health Care Directive. No, I have never been a Mayo patient, don’t have any medical issues and don’t plan on getting sick any time soon. Nevertheless, I simply feel better knowing that if I need critical care, I will be at an institution where I believe I’ll have the best chance of a good outcome. The aura that surrounds Mayo has mesmerized many. Friends and colleagues who have trekked to the Clinic for their $5000 executive physicals have uniformly reported that after being poked, prodded, and palpated for two days, they felt reassured that they’d had a thorough evaluation. And, of course, there is a continuous stream of royalty and dignitaries who fly their private jets to Rochester to get, what they hope, is the best care in the world. But, are these beliefs, hopes and perceptions real? Do Mayo doctors really offer better care or does the institution just have a better, and incredibly powerful, brand? Last month, I got closer to an objective answer. I was invited to give a keynote speech on health, longevity and technology at the Mayo Clinic Alumni International Meeting in Athens, Greece, and I attended two days of the conference. Of the 150 attendees and speakers, I was the only one who was not a Mayo graduate and/or a practicing Mayo doctor. But, as the sole outsider, I had a unique glimpse into their world. 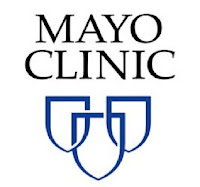 1) Electronic Health Record: Mayo’s EHR was designed and built in-house, and the physicians uniformly agreed that it is organized to be useful for patient management–not simply a vault for medical record documentation. As a result, their EHR is a key enabler of efficient communication between doctors and staff regarding diagnostic workups, treatment plans and follow up visits. 2) Immediate Specialty Consults: There is significant peer pressure among the doctors to be highly accessible. If a doctor has a challenging case and needs a specialist to assess their patient, there is an expectation that colleagues will make themselves immediately available. “Too busy,” “later” and “can’t do it today” are shunned and not part of the vocabulary and relationship that doctors have with each other. As a result, they believe that complex diagnoses that take weeks or months to sort out in other settings can get addressed quickly and efficiently in the Mayo system. While each of the Mayo doctors started with slightly different clinical approaches, they shared a common philosophy: guidelines are just that–a guide; treatment should be personalized based on the specific needs and circumstances of individual patients. In addition, there was a striking absence of CPT codes, insurance rules, or reimbursement opportunities influencing their judgment. And, in striking contrast to doctors in private practice who tip toe around each other to protect referral patterns, the Mayo docs clearly felt comfortable challenging each other when they disagreed. I suspect that it is this type of collegial banter that results in the thorough and coordinated care plans for Mayo patients. I probed further and kept firing questions. I shared the story of a friend who had a positive experience at Mayo but had a difficult time getting follow up questions answered over the phone. 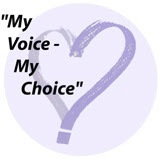 The internist spoke up: “Most processes work well, but there are still issues we need to address. We need to make sure it’s easy for patients to get their questions answered.” No defensiveness. No rationalizing. No whining about reimbursement rates as the barrier to being responsive to patients. This was Mayo’s secret sauce. They have a culture of “patient-centered care.” The aspiration of many. The achievement of very few. Last month, Mayo launched its first affiliated practice network (APN) relationship with Altru Health System in Grand Forks, North Dakota. This is a strategy to broaden Mayo’s footprint without building new, owned facilities. Health system who are part of Mayo’s APN maintain their independence but have fast track availability for consults and immediate phone access to Mayo specialists. Mayo will share its electronic health record system and clinical protocols—as well as it’s coveted brand. This is a brilliant strategy but only if Mayo develops a deliberate and effective plan to also export its secret sauce. Will doctors in these more loosely organized health systems be committed to being available and accessible for each other? Will they feel safe to debate? Will they make and take the time to collaborate and coordinate integrated treatment plans? Will they take a multi-disciplinary view toward patient care without protecting their small kingdoms and personal income? Will they learn to care about the patients’ experiences? 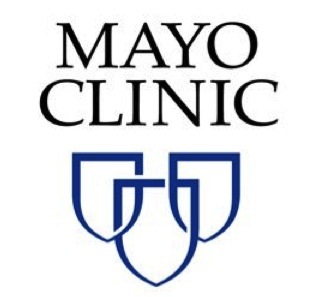 I don’t mean to imply that all other health systems are starting from ground zero, but the Mayo brand implies a solid and consistent patient-centered culture. The real question is whether establishing a patient-centered culture is even possible in a production-driven, fee for service health care systems. Time will tell. Do Not Pass Go. Do Not Get $200. Take me directly to Rochester.